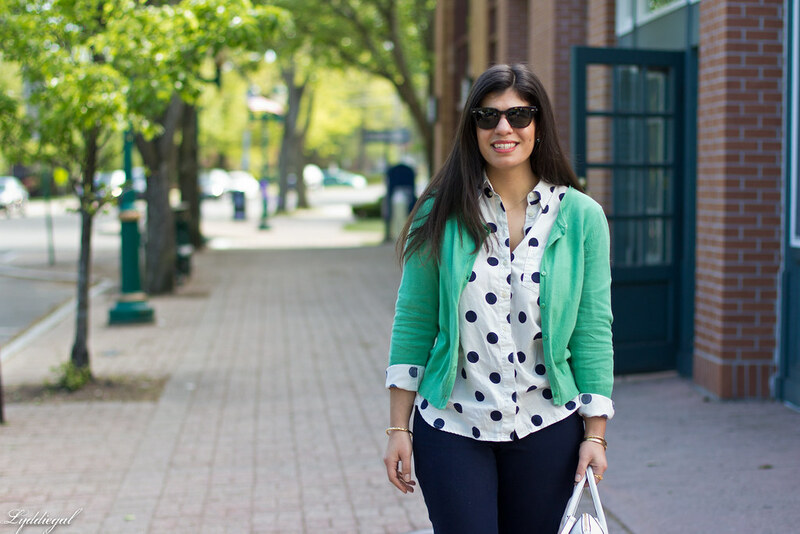 I wanted to challenge myself to wear a few pieces I knew hadn't come out of the closet in a while, and as I sifted through my endless stream of spring outfit pins, I spotted a look with a polka dot blouse and mint green cardigan. The navy Minnie pants have been a go-to for work as of late, so the rest of the look came together easily. 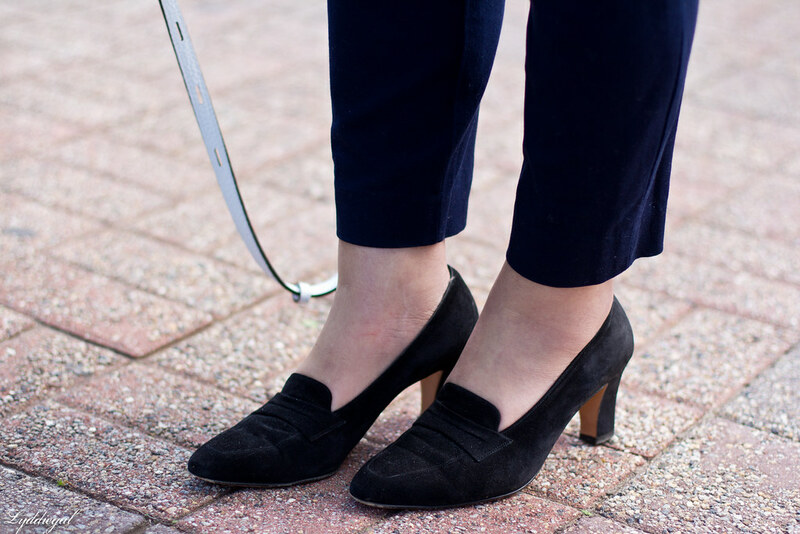 Thankfully the idea of wearing a black shoe with a navy pant doesn't irk me, as I have no navy shoes in my collection. I actually love black and navy together, it's one of my favourite colour combinations - black and brown comes a close second and, admittedly, I will never see what all the fuss is about these two colour pairings that I happen to think work so well. So naturally, I think there's a lot to love about this look - J. Crew's Minnie pants have been on my wishlist forever but whenever I find a pair that really works they turn out to be made of wool and then they're a no go (I really should go look for some right now, when it's more likely they'll be made of cotton.) 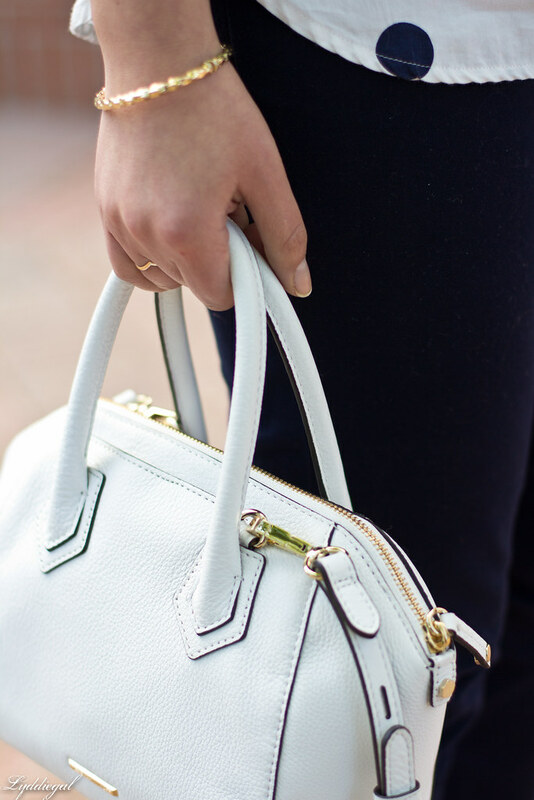 They look so lovely on you and they really do pair perfectly with your white bag. Love this look! I've been meaning to pay attention to older piece sin my closet too. I guess that's why I started doing my Throwback Thursday posts, haha. A good way to force me into wearing less-loved pieces! I love the Gap shirt and the Minnie pants are flattering and versatile! i wear navy and black and don't fret! This look is simple and put together, love it. I love this more nautical look, the polka dots are so cute! I turn my closet over once in awhile as well, and always discover goodies! Great that you're grabbing+wearing garments that have not been in rotation lately. These days it seems like its all I do. 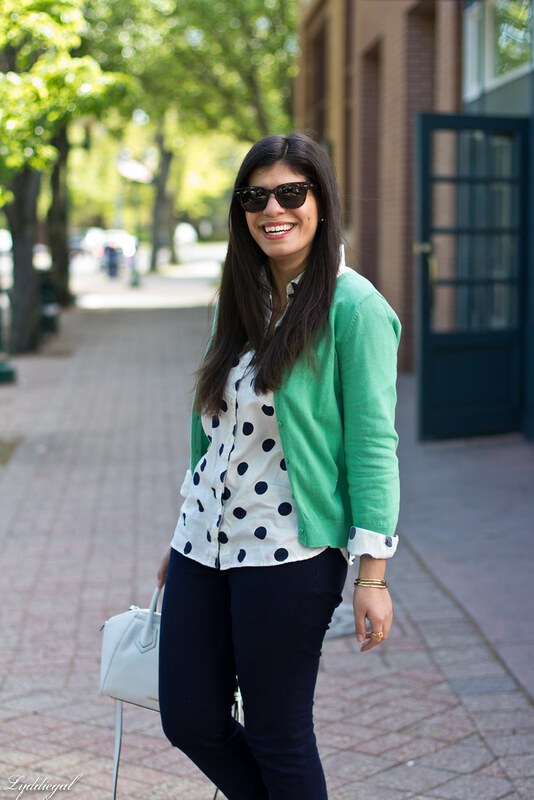 I love the green + navy combo, and the dots on your blouse make it so fun. I need to do some Pinterest outfit inspiration browsing myself! Great outfit! 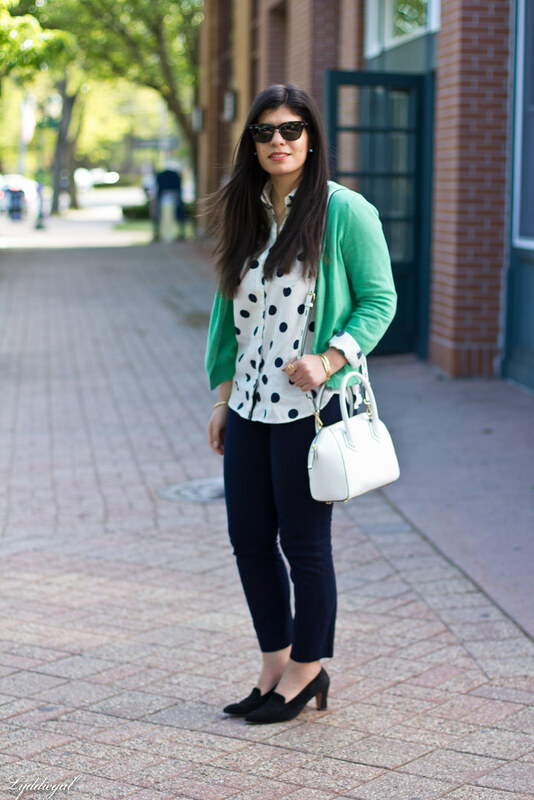 I love the polka dot shirt with the green cardi! I have a pair of pants that are similar. I just need the polka-dot shirt and green cardi! Thanks for an awesome inspiration outfit! This is such a cute preppy look! Love the polka dots! I need to start going through my closet and finding looks I haven't worn in awhile too! 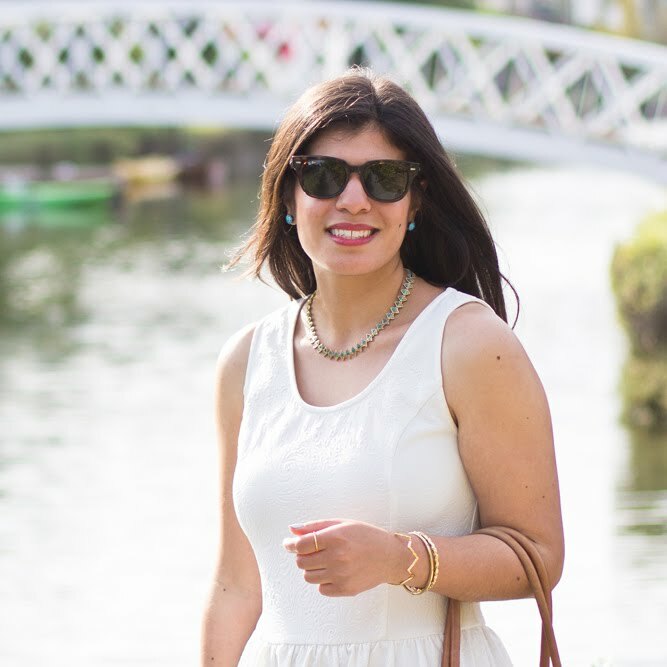 Perfect spring look! I do love going into the depths of my closet and wear things that have not been used in a long time. I've been challenging myself to put all the pieces in my closet on rotation, cute sweater. So cute! I love green, navy, and white together! Love these colors together! 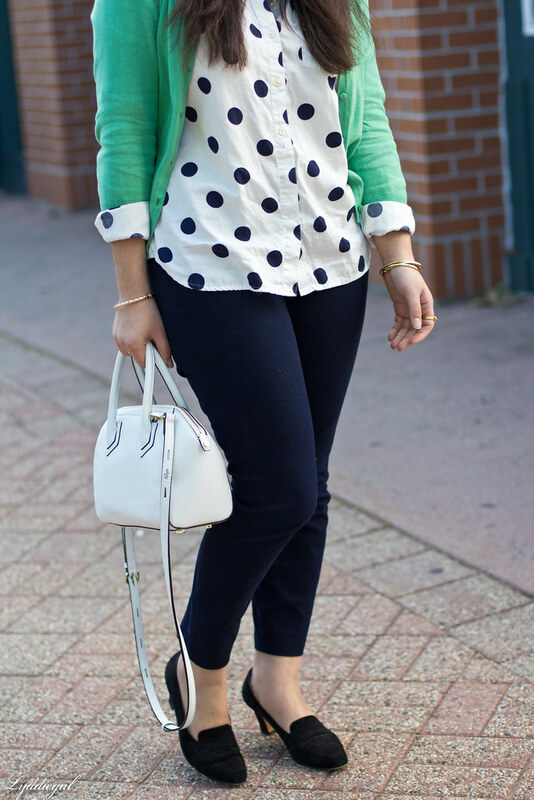 That polka dot top is adorable! I need to get my cardigans out of my closet more! 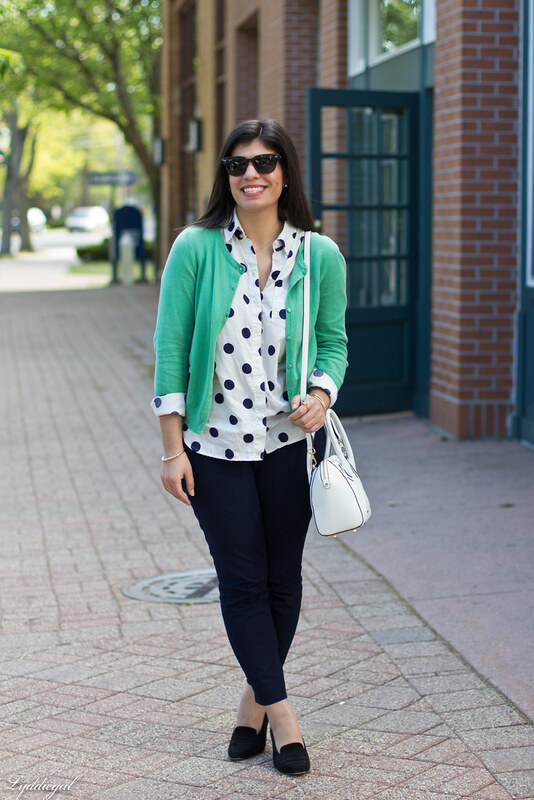 That pop of green is perfect with your polka dot blouse! I love blue and green together. I don't know what it is but this color combination makes me feel happy and warm and rich. I also love polka dots. Put it all together and you have one fabulous outfit! I will FOREVER love polka dots! This is such a darling look! 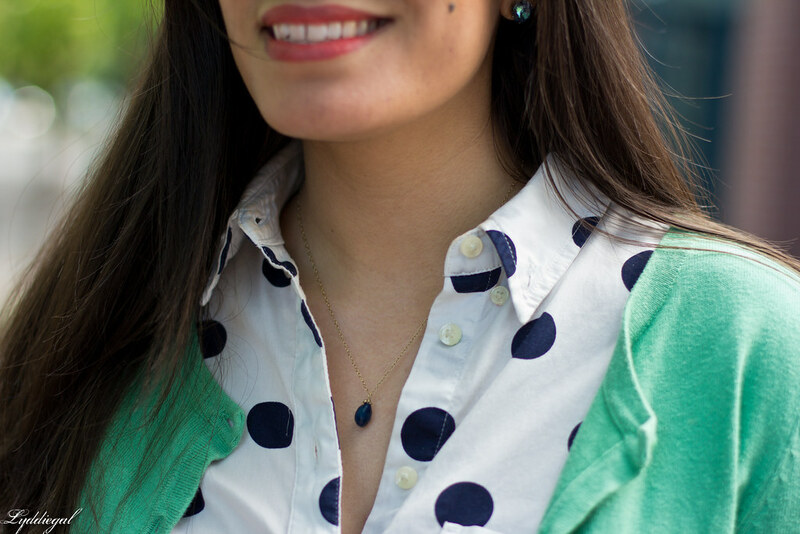 Glad you rediscovered the polka dots - such a cute pattern for the summer! That bold dot on you is SO cute! You had a treasure in your closet I see! 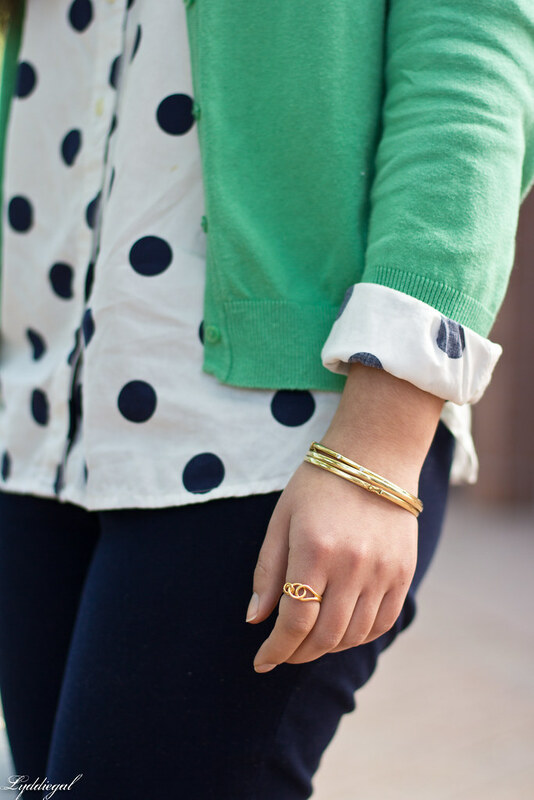 Love the mint green paired with the navy polka dots! Sorry I haven't commented in two weeks--been on a trip! I absolutely adore that polka dotted top of yours, and your shoes are the perfect shape.